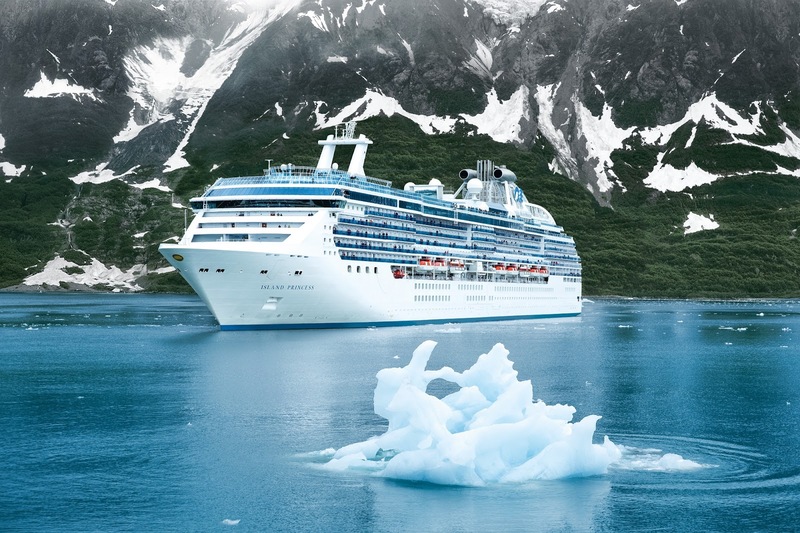 SANTA CLARITA, Calif. (February 17, 2017) – Princess Cruises, the #1 cruise line in Alaska, announced today that Island Princess will be the fourth cruise ship to feature the Ocean Medallion™, debuting May 16, 2018 for the Alaska season. The wearable device powered by a first-of-its-kind interactive technology platform within the One Cruise Experience Access Network™ (O·C·E·A·N™), enables a new level of personalization and delivers an enhanced guest experience not previously available in the global vacation industry. Island Princess joins three other cruise ships scheduled to debut Medallion Class Ocean Vacations -- Regal Princess on November 13, 2017, followed by Royal Princess and Caribbean Princess in early 2018, and Island Princess starting on May 16, 2018. The Medallion Class Alaska cruise will set sail on the top-rated Voyage of the Glaciers seven-day itinerary between Vancouver and Anchorage (Whittier), with a trip to the state’s best glacial waters including Glacier Bay National Park, a UNESCO World Heritage Site. Pairing with the Ocean Medallion is the Ocean Compass™ - a digital concierge accessible by all guests using interactive displays throughout the ship, on stateroom TVs, via guests’ own smart devices, or through a crew member. For example, guests can find their way to venues around the ship; make reservations at the Lotus Spa, specialty dining restaurants and shore excursions; arrange celebrations; view photographs; learn about the destinations they will visit and activities at each port of call and more. The Ocean Compass will invite guests to experiences based on their individual needs, wants and desires. One of the best-known names in cruising, Princess Cruises is a global cruise line and tour company operating a fleet of 18 modern cruise ships renowned for their innovative design and wide array of choices in dining, entertainment and amenities, all provided with the experience of exceptional customer service. As the world’s largest international premium cruise brand, Princess carries two million guests each year to more than 360 destinations around the globe on more than 150 itineraries ranging in length from three to 114 days. The company is part of Carnival Corporation & plc (NYSE/LSE: CCL; NYSE:CUK).